One of the most common setbacks people experience when trying to purchase a home is the lack of credit or the negative results of a credit score that is too low. Your credit report and credit score are reflections of your ability to manage your income and debt. Those who offer mortgage loans take these things seriously because they are good indicators of whether you’ll be able to repay the loan. But What's Important About My Credit Score? Let’s say you already have a reliable source of income, in fact, you’ve held the same job for quite some time. This is good news! Mortgage companies weigh this heavily in their selection process. Of course, you need to improve your credit score as quickly as possible. Now that you’ve taken the first steps towards raising your credit, it’s time to get copies of all your credit reports. Keep in mind that some creditors send information to three agencies, while others only send them to one or two of them, so you’ll need your credit reports from all three. The average of these reports is what’s used to determine your eligibility for a mortgage. You can get your credit report for free from all three of the credit agencies: TransUnion, Equifax, and Experian once a year. – Look at your credit report and have any errors fixed. Make sure to go over everything as thoroughly as you can, you’ll likely find errors within the report. Credit report errors can only hurt your credit score. Sometimes credit report errors cause differences of hundreds of points. These errors can cause critical harm to your score. – Reduce your debt completely. 30% of your credit score is tied to the amount of money owed. Wiping this out will make a huge difference. – Pay your balances before they are due. – Negotiate with creditors. If a string of bad luck contributed to your current credit score, call your creditors. Often times they will erase that debt owed if you work out a plan to pay them back. – As you negotiate, be sure to send letters to your creditors. Keep excellent notes and copies during this process. Make sure the credit reporting agency can verify any information you have questions with. If the creditors cannot verify the information you seek to negotiate (dispute on), they are required by law to remove it. This will get your credit score back on track to higher, safer levels. But there is still more work to be done. Here are a few ways to raise you credit score within a month. These tips, combined with the above information, can only help your credit improve. – Become an authorized credit user. If you have family members with good credit scores, see if they can add you to their existing credit account. By acting as an authorized user, your credit score will in turn rise, significantly improving your numbers as well as lowering their debt-to-income ratio. If needed, have the terms of your agreement drafted into writing. This might seem counter intuitive but boosting your existing credit line will decrease your credit utilization. One of the factors of your credit score is the ratio between debt and your credit’s limits. – Keep all credit card balances less than 25% of your total credit amount on each card you own, this will affect your debt-to-credit ratio, an important factor in your credit score. – Do not attempt to remedy other payment history. A great misconception about boosting your credit score has to do with credit history alterations. The myth is that you can call your debtors and ask them to add your payment history onto your credit report. However, this is unnecessary work, as the credit bureaus tend to only add delinquent payments onto credit reports. – Do not apply for additional loans or credit cards during the credit score repairing process. Each time you do this, a hard inquiry shows up on your credit report, this shows potential lenders that you are seeking out more credit to borrow, and that throws some red flags. You want to ensure that you can handle your current debts and credit limits, without needing additional spending power. Wait until the home purchase has been finalized before you look to open new accounts. 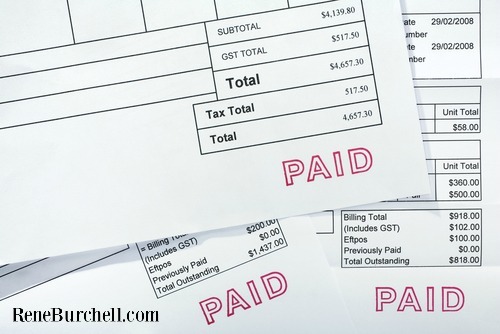 Don’t move your debts around, make sure you take care of the debt on your existing credit line. Moving balances between cards requires you to pay multitudes of fees, and the extra cost is not worth the savings. If you work hard and pay off your debt quickly, your credit score will improve. 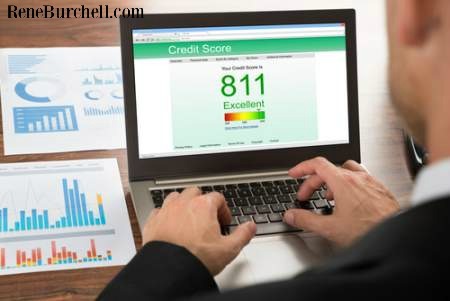 If the above information is too difficult, or time consuming for you to manage, don’t forget that a credit repair agency can assist you in gaining a higher credit score. These licensed professionals are quick and affordable when it comes to raising your credit score as quickly as possible, so you can secure a home loan that is suitable for your needs. Remember, fixing your credit score isn’t an easy process. It’s going to take time, dedication, and will be frustrating at times. Make sure you have a rock-solid plan on remedying a poor credit score and report. It is worth it. But What’s Important About My Credit Score? Your credit score is also known as a FICO score; a three-digit number that varies between 300 or 850. This score is used to determine if you are good at borrowing and paying back credit. For credit scores underneath the average threshold (650), you’ll want to look at repairing your credit score as soon as possible. The average credit score for potential home owners is rising with each year, and that makes securing a home loan a competitive market. Take care of any inaccurate charges on your credit reports and pay off any current debts owed. Make sure you set up automatic payments, so you never pay a bill late. Over time, making payments as soon as they are due, or even before they are due will raise your score and lend credibility when it’s time to take on a mortgage. – Credit Inquires. These occur when you apply for credit cards, keep in mind they can be red flags for lenders looking to determine your credit reputation. – Past debts paid, lenders will see how you paid off your credit cards, how long it took you to pay and whether you’ve had late payments or bills past due. – Any information regarding bankruptcies and foreclosures. Any issues you may have remaining on your credit report need to be detailed and explained to your lender in writing. Explain your situation regarding late payments, stolen credit information, etc. Often lenders will figure out a way to make things work. Remember, we all face instances of bad luck sometimes, but that shouldn’t stop us from owning a home. If you’re credit score is still near or under 650, consider a FHA-insured loan. These loans work with lower credit scores and are easier to qualify for. The drawback of an FHA loan is that you will be required to pay mortgage insurance, often at a higher rate than traditional home loans. Securing a home loan is an important life event, make sure the lender you select works compassionately and fairly with people. 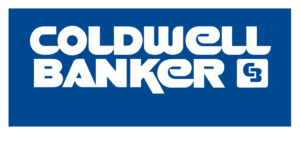 Finding the right broker will save you countless hours of frustration, and a good deal of money at that. You might even be able to purchase your home directly from the homeowner. Often these sales do not involve credit checks, and seller financing offers more flexibility when it comes to purchasing the property. Sellers can offer what’s known as wraparound mortgages, whereby the seller transfers their existing mortgage over to you. Keep in mind these are not legal in all states of the US. This process is like a lease-to-buy option, whereas you rent your future home from the homeowner, a portion of which is applied to the down payment. Eventually you accumulate equity in doing so, but the cost of a lease-to-buy option means should an issue arise, and you no longer wish to live there, the money will not be returned. Something to keep in mind, although lease-to-buy options are gaining popularity as a way of owning a home with less commitment. Did you know you can secure a loan, even before you go home shopping? Make sure your credit report is spotless, pay off all debts, and raise that credit score (the tips outlined above will help). The next step is to visit a mortgage broker and get a pre-approval certificate. Another option, should everything else you’ve tried be exhausted, is to withdraw funds from a ROTH IRA account in order to purchase a home. The typical amount one can take out is up to $10,000 for home purchases. If you decided to borrow money from friends or family, this information must be made available to your mortgage lender, as proof in writing. So now that you’ve got that home loan, all is well, right? Yes, however you still need to keep a close eye on your credit and spending. Make sure your home’s purchase has been finalized before you finance any other moderate items. Make sure your credit to debt ratio is kept at a low throughout the duration of the loan process. Do not charge anything you can live without during this period. Fixing your credit score can seem time consuming and costly, but it is a necessary process. Repairing and raising your credit score is about maintaining balanced spending habits and financial discipline. Patience is required, and after you’ve fixed any errors in your credit history, if you are keeping consistent with your bills and credit balances, your credit score will improve, and you will be well on your way to home ownership.